It could be said that we spend most of our lives running away from the memories of our awkward teen years only to wake up one day and realize we’ve completely forgotten how it is to live life as a teen. 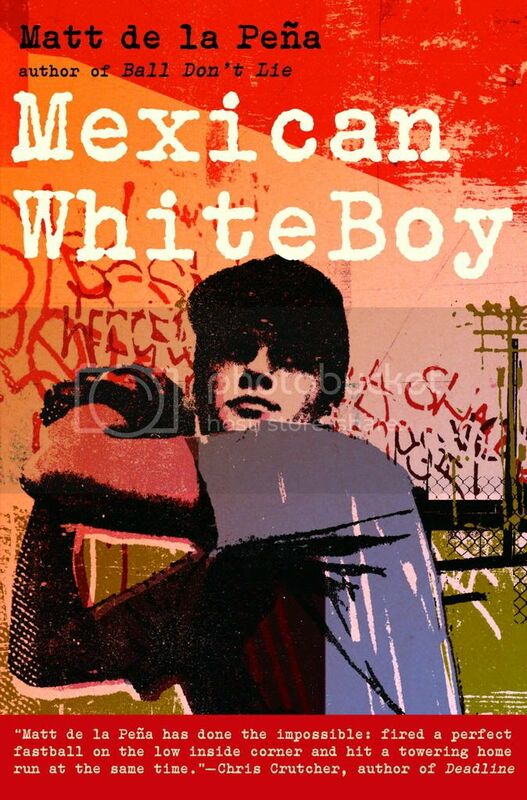 Throw in life in a poor neighborhood in San Diego, divorced parents and a multi-racial background and you’ve got Danny’s life, the main character of Mexican WhiteBoy, author Matt de la Pena’s second novel. Danny has trouble fitting in at his private school, a non-Spanish speaking light brown boy among white faces. He lives with his White mom who wants him to move to San Francisco with her and the White man she’s dating. He has trouble fitting in with his culture, convinced that his whiteness drove his father back to Mexico. Danny’s also got a secret talent. Despite his tall and skinny stature, he throw a 95 mile an hour fastball, but gets so nervous on the baseball mound, he can’t convince his school mates of his talent. As summer approaches, he plans on spending the vacation in Mexico with his father in hopes facing a couple of these issues. The book is aimed for young readers, and the language is not squeaky clean kid friendly. But it’s real, and probably more true to how teens really speak. Of course, not everyone can relate to a gangly teen boy straddling two cultures, but young readers may find, despite his differences, he’s just a teen the same as they are. And that lesson of tolerance and understanding is something they can remember long after they’ve forgotten their teen years. Mexican WhiteBoy is published by Random House.